An IP Address is a unique set of numbers assigned by your router. Each wireless device on your network has to have it's own IP Address. This way the packets of information can reach the right destination. It can become necessary to find your device's IP address. 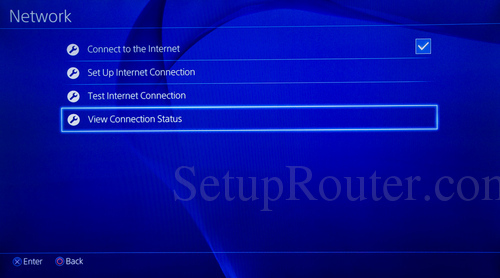 If you want to forward a port in your router for your PS4 then you need to know the PS4's IP address in order to do this. 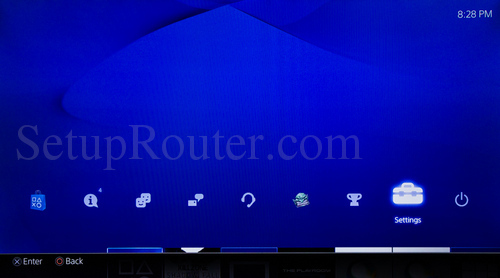 Start by going to the PS4 home screen by pressing the Play Station Logo button in the center of your controller. 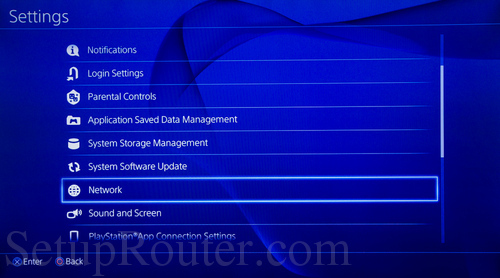 Select the option of Settings from the available list. Next, scroll down this new page and click Network. Select the View Connection Status option from the available list. You should now be on the View Connection Status page. Find the IP Address entry. In this screenshot the IP Address is on the fourth line. Congratulations, you have found the PS4's IP address. To find out more about IP addresses you can check out this guide. 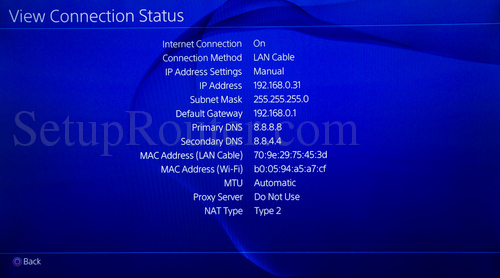 If you want to figure out how to locate your router's IP address this IP address guide can help. To find out what a port is visit this guide.